Medical malpractice lawsuits typically stem from medical treatment that was inadequate or leaves a patient with additional and unnecessary injuries. In either situation, the victim is often left with an understandable distrust of the medical establishment. However, the success or failure of almost every medical malpractice case hinges on evidence presented by medical experts. At its most basic, medical malpractice lawsuits are seeking to prove that a doctor acted outside the scope of standard and appropriate treatment, and other medical experts are realistically the only individuals with the ability to evaluate this issue. In fact, the use of experts is so important in lawsuits generally that specific rules govern who can testify as an expert and the extent of what they are permitted to say. The Florida Supreme Court recently rejected rules passed by the state legislature on the use of experts in civil lawsuits, including a provision that directly regulates which experts can be used in medical malpractice cases. 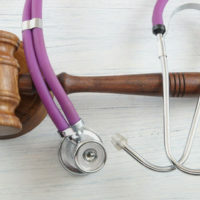 Understanding the legal standard doctors are bound to uphold for all their patients, as well as the specific role of medical experts in malpractice cases, is important information for individuals considering whether to sue. While doctors take an oath to “do no harm,” being injured as a consequence of medical treatment is not enough on its own to establish legal liability. As mentioned above, plaintiffs are trying to prove that a doctor’s course of treatment was inappropriate for the situation, which legally means he/she did not comply with the “prevailing professional standard of care.” This standard is measured against what other physicians with similar experience and skill would consider acceptable and appropriate treatment in like circumstances. If the injury occurred from direct action taken by the doctor, such as surgery, as opposed to not providing any or enough treatment, the plaintiff must specifically show that the injury was unnecessary or not a reasonable foreseeable result of the medical intervention. whether the use of a specific medication was appropriate for a patient based on medical history and symptoms presented. Medical treatment should not result in further injury, and if you believe a doctor caused you unnecessary harm, talk to a medical malpractice lawyer about your legal options. The Miami law firm of Pita Weber Del Prado have years of experience handling these complex matters, and are available to assist you with your case. Contact us today for a free consultation.